The wolf (Canis lupus), also known as the gray wolf, timber wolf, western wolf is a canine native to the wilderness and remote areas of Eurasia and North America. It is the largest extant member of its family, with males averaging 43–45 kg (95–99 lb) and females 36–38.5 kg (79–85 lb). Like the red wolf, it is distinguished from other Canis species by its larger size and less pointed features, particularly on the ears and muzzle. Its winter fur is long and bushy and predominantly a mottled gray in color, although nearly pure white, red, and brown to black also occur. Mammal Species of the World (3rd ed., 2005), a standard reference work in zoology, recognises 38 subspecies of C. lupus. The gray wolf is the second most specialised member of the genus Canis, after the Ethiopian wolf, as demonstrated by its morphological adaptations to hunting large prey, its more gregarious nature and its highly advanced expressive behavior. It is nonetheless closely related enough to smaller Canis species, such as the eastern wolf, coyote, and golden jackal, to produce fertile hybrids. It is the only species of Canis to have a range encompassing both the Old and New Worlds, and originated in Eurasia during the Pleistocene, colonizing North America on at least three separate occasions during the Rancholabrean. [ It is a social animal, travelling in nuclear families consisting of a mated pair, accompanied by the pair’s adult offspring. The gray wolf is typically an apex predator throughout its range, with only humans and tigers posing a serious threat to it. It feeds primarily on large ungulates, though it also eats smaller animals, livestock, carrion, and garbage A seven year-old wolf is considered to be relatively old, and the maximum lifespan is about 16 years. The global gray wolf population is estimated to be 300,000. The gray wolf is one of the world’s best-known and most-researched animals, with probably more books written about it than any other wildlife species. It has a long history of association with humans, having been despised and hunted in most pastoral communities because of its attacks on livestock, while conversely being respected in some agrarian and hunter-gatherer societies. Although the fear of wolves is pervasive in many human societies, the majority of recorded attacks on people have been attributed to animals suffering from rabies. Non-rabid wolves have attacked and killed people, mainly children, but this is rare, as wolves are relatively few, live away from people, and have developed a fear of humans from hunters and shepherds. A recently published report published by the World Wildlife Fund, entitled The Living Planet Report 2018, shows that wildlife populations have declined by over half in less than 50 years. Plummeting numbers of mammals, reptiles, amphibians, birds and fish around the world are an urgent sign that nature needs life support. Our Living Planet Report 2018 shows population sizes of wildlife decreased by 60% globally between 1970 and 2014. For the last 20 years, scientists have been monitoring changes in the populations of thousands of animal species around the world. Sadly, they’ve concluded that the variety of life on Earth and wildlife populations is disappearing fast. The Report shows that despite the fact that Humans have only been around for 200,000 years, a tiny blip in the 4.5 billion years of our planet’s history, we have had a greater impact on the Earth than any other species. All over the world, we are cutting down forests, using too much water from rivers, choking our oceans with plastic and pushing many animals to extinction. In order for both people and wildlife to thrive, now and in the future, we need a healthy planet, with a rich variety of plants and animals and vibrant ecosystems. Current research shows that mankind s current efforts to protect nature are not ambitious enough to match the scale of the threat the Earth is facing. The World Wildlife fund has called for a new global deal for nature and for people to halt the wildlife decline and tackle deforestation, climate change and plastic pollution, by altering their behaviour. This has been backed by a concrete commitments from global leaders and businesses to tackle wildlife loss, climate change and development in an integrated way. Candy Corn Day takes place annually on 30 October. Candy corn is most often found in the United States and Canada, popular primarily around Halloween. The three colors of the candy – a broad yellow end, a tapered orange center, and a pointed white tip – mimic the appearance of kernels of corn, hence the name. Each piece is approximately three times the size of a real kernel from a ripe or dried ear. Candy corn is made primarily from sugar, corn syrup, confectioner’s wax, artificial coloring and binders. Candy Corn Day can trace its beginings to the late 1800’s, when George Renniger of the Wunderle Candy Company created this colorful confection to celebrate the beauty of corn, and the deep autumnal colors. “Chicken Feed” was the original name of the candy with production starting in the 1880s. Wunderlee Candy Company was the first to produce the candy. Following the 19th century, the Goelitz Confectionary Company (now called Jelly Belly) manufactured the product. Along with other agriculture-inspired treats at the time, the late 19th century, America’s confectioners sought to market candy corn to a largely rural society. During that time winter was a long and cold affair, with electricity not quite having come into common usage. The bright colors of these candies could last throughout, bringing both a visceral joy and a burst of much-needed sugar during the dark time of the year. Since then Candy Corn has become an icon of the Autumn season in the United States Of Americs and you know that Autumn is here when it starts showing up. There are many varieties of Candy Corn, A popular variation called “Indian corn” features a chocolate brown wide end, orange center and pointed white tip, this is often available around Thanksgiving. During the Halloween season, blackberry cobbler candy corn can be found in eastern Canada. Confectioners have introduced additional color variations suited to other holidays. The Christmas variant (sometimes called “reindeer corn”) typically has a red end and a green center; the Valentine’s Day variant (sometimes called “cupid corn”) typically has a red end and a pink center; In the United States during Independence Day celebrations, corn with a blue end, white center, and red tip (named “freedom corn”) can be found at celebratory cook outs and patriotic celebrations; the Easter variant (sometimes called “bunny corn”) is typically only a two-color candy, and comes with a variety of pastel bases (pink, green, yellow, and purple) with white tips all in one package. In 2011, there were caramel apple and green apple candy corn variants. In 2013 there were s’mores and pumpkin spice variants. In 2014, carrot corn was also introduced for the Easter season, typically being green and orange, and having a carrot cake type flavor. In 2015, birthday cake and “celebration” candy corn have been introduced for the Independence Day season. Checklist day takes place annually on 30 October. A checklist can be very useful and is a powerful habit to embrace. So, Checklist Day is a great way to remind yourself how important these self-made reminders truly are. National Checklist day can trace its roots back to the 1930s, when early aviators were searching for ways to make flying much safer and avoid the all-too-common crash during takeoff. One such incident took place On October 30, 1935, when Boeing was testing their new Model 299/ B-17 Flying Fortress which was intended to revolutionize the US Military, and the entire airline industry.This flying marvel of technology was in development for 5 years. It had 4 engines, a central bomb bay, and gunner stations throughout the fuselage. It was the most sophisticated airplane in aviation history. The Model 299 was piloted by Major Ployer P. Hill, U.S. Army Air Corps, and co-piloted by Lieutenant Donald Leander Putt, Beoing’s Chief Test Pilot Leslie R. Tower and Beoing mechanic C.W. Benton were also aboard. However as The aircraft sped down the runway, achieved perfect lift, and began to climb, it suddenly stalled, banked, and crashed into the field, as onlookers watched in horror. An investigation found the airplane to be in perfect condition. No mechanical failure could be found that would have resulted in the deadly crash. Upon deeper investigation and eye witness reports, including the surviving co-pilot, it was determined that the flight crew had simply forgot to release the flight control gust locks. Thus causing the plane to nose dive into the ground, immediately after takeoff. It was further determined that the airplane was “too complex” for man to fly. Technology, and the sheer amount of tasks required to safely takeoff in a modern day airplane had surpassed the limitations of the human memory. After the crash of the Model 299 on October 30, 1935, the Checklist was introduced by Boeing, as a permanent and mandatory tool, to be used by all pilots in the Boeing fleet. After the checklist was introduced, Boeing was able to eventually sell the Model 299 to the U.S. Army Air Corps, where it flew for years without incident. Boeing had revolutionized Aviation however not in the way they thought. Today, you can’t takeoff or land in a commercial airplane without checklists being used by your pilots, maintenance crew, or flight attendants. Many people lead such busy lives that they have little time to eat or sort the kitchen out. As a result leftover food is placed in a container to eat later, but ends up getting pushed to the back of the fridge, Consequently many Left over foodstuffs are often forgotten about and left to go rotten in the back of the fridge and over time, they transform into a rather scary and often rather pungeant sludge as the process of decay takes over , and the end result waits to frighten people when it iseventually rediscovered again, months or years later, So Haunted Refrigerator Night was created. It takes place annually on 30 October. Haunted Refrigerator Night was created by perennial holiday creators, Thomas and Ruth Roy of Wellcat Holidays & Herbs Who decided that the best time to tackle the frightening depths of their refrigerator was the night before Halloween, so they started a tradition of facing the unknown depths of the fridge on the night before Halloween. Buy a doughnut day takes place annually on 30 October. A doughnut/ donut is a type of fried yeast pastry confection or dessert food. The doughnut is popular in many countries and prepared in various forms as a sweet snack that can be homemade or purchased in bakeries, supermarkets, food stalls, and franchised specialty vendors.The first doughnuts in America, were little “nuts” of dough, and they were brought to New England by the Pilgrims, who had learned to make them while they were in Holland from 1607-1620. 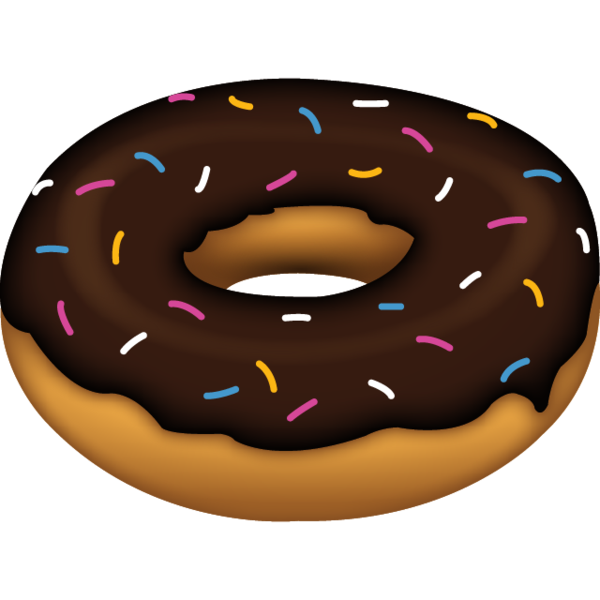 The first mention of doughnuts in print was in Washington Irving’s 1809 book History of New York, which talks about Dutch settlers to New Amsterdam in the seventeenth century. By the middle of the nineteenth century, doughnuts with a punched out center became the norm, and doughnut corers were even being sold by mail order catalog By the twentieth century, many variations of doughnuts became popular, including iced, jelly or cream filled, and dusted with powdered sugar or cinnamon. Glazed is the most popular doughnut, and doughnut holes have been around since at least the 1960s. Doughnuts are often sold at doughnut shops, the most popular being Dunkin’. Doughnuts are usually deep fried from a flour dough, and typically either ring-shaped or a number of shapes without a hole, and often filled, but can also be ball-shaped (“doughnut holes”). Other types of batters can also be used, and various toppings and flavorings are used for different types, such as sugar, chocolate, or maple glazing. Doughnuts may also include water, leavening, eggs, milk, sugar, oil, shortening, and natural or artificial flavors. The two most common types are the ring doughnut and the filled doughnut. Ring doughnuts are formed by one of two methods: by joining the ends of a long, skinny piece of dough into a ring, or by using a doughnut cutter, which simultaneously cuts the outside and inside shape, leaving a doughnut-shaped piece of dough and a doughnut hole (from the dough removed from the center). This smaller piece of dough can be cooked and served as a “doughnut hole” or added back to the batch to make more doughnuts. A disk-shaped doughnut can also be stretched and pinched into a torus until the center breaks to form a hole. Alternatively, a doughnut depositor can be used to place a circle of liquid dough (batter) directly into the fryer. There are two types of ring doughnuts, those made from a yeast-based dough for raised doughnuts, or those made from a special type of cake batter. Yeast-raised doughnuts contain about 25% oil by weight, whereas cake doughnuts’ oil content is around 20%, but they have extra fat included in the batter before frying. Cake doughnuts are fried for about 90 seconds at approximately 190 to 198 °C (374 to 388 °F), turning once. Yeast-raised doughnuts absorb more oil because they take longer to fry, about 150 seconds, at 182 to 190 °C (360 to 374 °F). Cake doughnuts typically weigh between 24 and 28 g (0.85 and 0.99 oz), whereas yeast-raised doughnuts average 38 g (1.3 oz) and are generally larger, and taller (due to rising) when finished. Filled doughnuts are injected with fruit preserves, cream, custard, or other sweet fillings. Alternatively, small pieces of dough are sometimes cooked as doughnut holes. Once fried, doughnuts may be glazed with a sugar icing, spread with icing or chocolate on top, or topped with powdered sugar or sprinkles or fruit. Other shapes include rings, balls, flattened spheres, twists, and other forms. Doughnut varieties are also divided into cake (including the old-fashioned) and yeast-risen type doughnuts. Doughnuts are often accompanied by coffee purchased at doughnut shops or fast food restaurants, but can also be paired with milk. 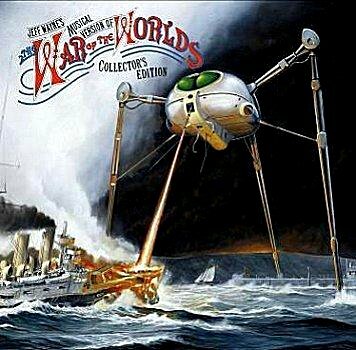 Orson Welles broadcast his radio play of H. G. Wells’s The War of the Worlds on 30 October 1938 as an episode of the American radio drama anthology series The Mercury Theatre on the Air. It was performed as a Halloween episode and caused widespread panic. Directed and narrated by actor and future filmmaker Orson Welles. The first two thirds of the 60-minute broadcast were presented as a series of realistic news bulletins, which suggested to many listeners that an actual alien invasion byMartians was currently in progress. Compounding the issue was the fact that the Mercury Theatre on the Air was a sustaining show (it ran without commercial breaks), adding to the program’s realism. In the days following the adaptation, however, there was widespread outrage from certain listeners, who had believed the events described in the program were real. The program’s news-bulletin format was described as cruelly deceptive by some newspapers and public figures, leading to an outcry against the perpetrators of the broadcast. Despite these complaints it secured Welles’ fame as a dramatist. The program, starts with an introduction from the novel, describing the intentions of the aliens and noting that the adaptation is set in 1939, a year ahead of the actual broadcast date.The program continues with a weather report and a dance band “Ramon Raquello and His Orchestra” (actually the CBS orchestra under the direction of Bernard Herrmann). This is interrupted by news flashes about strange explosions on Mars. Welles makes his first appearance as the (fictional) famous astronomer and Princeton professor Richard Pierson, who dismisses speculation about life on Mars. The news grows more frequent and increasingly ominous as a cylindrical meteorite lands in Grover’s Mill, New Jersey. A crowd gathers at the site. Reporter Carl Phillips (Readick) relates the events. The meteorite unscrews, revealing itself as a rocket machine. Onlookers catch a glimpse of a tentacled, pulsating, barely mobile Martian inside before it incinerates the crowd with Heat-Rays. Phillips’s shouts about incoming flames are cut off in mid-sentence. (Later surveys indicate that many listeners heard only this portion of the show before contacting neighbors or family to inquire about the broadcast. Many contacted others in turn, leading to rumours and confusion. )Regular programming breaks down as the studio struggles with casualty updates, firefighting developments And other information. A live connection is established to a field artillery battery. Its gun crew reports damaging one machine and a release of black smoke/poison gas before fading into the sound of coughing. The lead plane of a wing of bombers broadcasts its approach and remains on the air as their engines are burned by the Heat-Ray and the plane dives on the invaders. Radio operators go active and fall silent, after reporting the approach of the black smoke. The bombers destroy one machine, but cylinders keep falling all across the country. This section ends with A news reporter, broadcasting from atop the CBS building, describes the Martian invasion of New York City – “five great machines” wading across the Hudson River, poison smoke drifting over the city, people running and diving into the East River “like rats”, others “falling like flies” – until he, too, succumbs to the poison gas. Finally, a despairing ham radio operator is heard calling, “2X2L calling CQ. Isn’t there anyone on the air? Isn’t there anyone on the air? Isn’t there… anyone? Mischief Night takes place annually on 30 October during which children and teens traditionally engage in pranks and minor vandalism. While its name and date vary from place to place, it is most commonly held near the end of October to coincide with Halloween. The earliest reference to Mischief Night is from 1790 when a headmaster encouraged a school play which ended in “an Ode to Fun which praises children’s tricks on Mischief Night in most approving terms”. In the United Kingdom, these pranks were originally carried out as part of May Day celebrations, but when the industrial revolution caused workers to move to urban areas, Mischief Night shifted to November 4, the night before Guy Fawkes Night. According to one historian, “May Day and the Green Man had little resonance for children in grimy cities. They looked at the opposite end of the year and found the ideal time, the night before the gunpowder plot.” In Germany, Mischief Night is still celebrated on May 1. In the United States, Mischief Night is commonly held on October 30, the night before Halloween. The separation of Halloween tricks from treats seems to have only developed in certain areas, often appearing in one region but not at all nearby. In New Jersey’s Atlantic, Bergen, Burlington, Camden, Cape May, Cumberland, Essex, Gloucester, Hudson, Mercer, Middlesex, Monmouth, Morris, Ocean, Passaic, Somerset, Sussex, Warren, and Union counties, as well as in Philadelphia; Delaware; Westchester County, New York; and Fairfield County, Connecticut, it is referred to as “Mischief Night”. In some towns in Northern New Jersey and parts of New York State, it is also known as “Goosey Night”. In rural Niagara Falls, Ontario, during the 1950s and 1960s, Cabbage Night referred to the custom of raiding local gardens for leftover rotting cabbages and hurling them about to create mischief in the neighborhood. Today, the night is commonly known as “Cabbage Night” in parts of Vermont; Connecticut; Bergen County, New Jersey; Upstate New York; Northern Kentucky; Newport, Rhode Island; Western Massachusetts; and Boston, Massachusetts. It is known as “Gate Night” in New Hampshire, Trail, British Columbia, Winnipeg, Manitoba, Thunder Bay, Ontario, Rockland County, New York, North Dakota and South Dakota, as “Mat Night” in Quebec, Canada, and as “Devil’s Night” in many places throughout Canada, Michigan, and western Pennsylvania. Mischief night is known in Yorkshire as “Mischievous Night”, “Miggy Night”, “Tick-Tack Night”, “Corn Night”, “Trick Night”, or “Micky Night”, and is celebrated on November 4 on the eve of Bonfire Night. In some areas of Yorkshire, it is extremely popular among teenagers as they believe it to be a sort of “coming of age ceremony”. Mischief Night tends to include popular tricks such as toilet papering yards and buildings, powder-bombing and egging cars, people, and homes, using soap to write on windows, “forking” yards, setting off fireworks, and smashing pumpkins and jack-o’-lanterns. Local grocery stores often refuse to sell eggs to pre-teens and teens around the time of Halloween for this reason. Occasionally, the damage can escalate to include the spray-painting of buildings and homes. Less destructive is the prank known as “Knock, Knock, Ginger,” “Ding-Dong Ditch,” “knock down ginger,” or “knock-a-door-run and nicky-nicky-nine-doors (West Quebec). In some areas of Queens, New York, Cabbage Night has included throwing rotten fruit at neighbors, cars, and buses. Pre-teens and teens fill eggs with Neet and Nair and throw them at unsuspecting individuals. In the mid-1980s, garbage was set on fire and cemeteries were set ablaze. In Camden, New Jersey, Mischief Night escalated to the point that in the 1990s widespread arson was committed, with over 130 arsons on the night of October 30, 1991. In Detroit, Michigan, which was particularly hard-hit by Devil’s Night arson and vandalism throughout the 1980s, many citizens take it upon themselves to patrol the streets to deter arsonists and those who may break the law. This is known as “Angels’ Night”. Some 40,000 volunteer citizens patrol the city on Angels’ Night, which usually runs October 29 through October 31, around the time most Halloween festivities are taking place.